Alkanes have a general formula of CnH2n+2. The simplest alkane is CH4 where n = 1. The next alkanes are C2H6 (n = 2), C3H8 (n = 3), and so on so forth. Notice, there is a steady difference of number of carbon and hydrogen atoms from lower alkanes to higher alkanes, the constant difference between successive members being CH2. A series of compounds in which each member differs from the next member by a constant amount is called a homologous series, and the members of the series are called homologs. Alkanes with more than 3 carbons can show constitutional isomerism. They can be either linear or branched structures. This is categorized as chain isomerism. 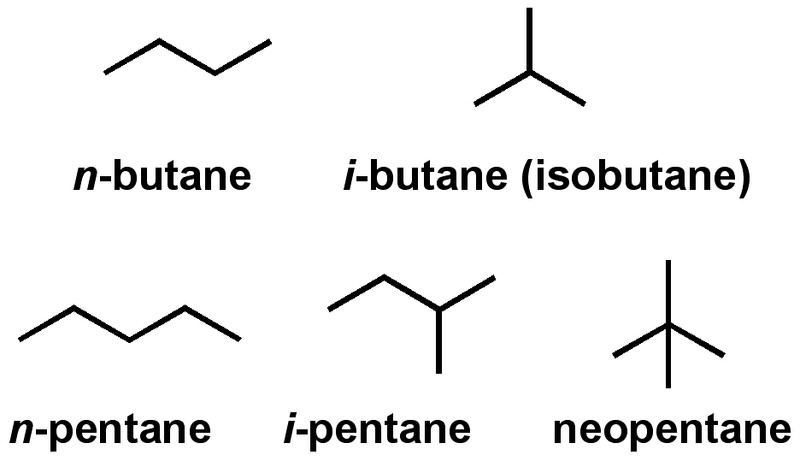 Butane is the smallest alkane to show such isomerism with 2 isomers. Pentane can have 3 isomers. Similarly, one can calculate isomers for higher alkanes. However, as the number of carbons increase, it becomes very hard to calculate the number of isomers. This particular problem has been a mathematical challenge for almost a century. A detailed description of this problem can be found here. The Goodman group from the University of Cambridge has a calculator, which you can use to find the number of isomers of alkanes. [stextbox id=”info” caption=”Sample problem 1″]Find out the number of isomers of C6H14 from the above calculator and then try to draw the structures of all of them.